Magicard announces the release of a new printer driver that enables the use of Magicard ID card printers with Apple computers running the Mac OS X operating system. The new driver gives Magicard users the ability to work with a wider variety of operating systems and software applications to issue identification credentials. The new Mac OS X printer driver is Ultra ID’s first software development built natively for Unix architecture operating systems. The driver extends Mac printing support to all current Magicard direct-to-card (DTC) printers including the Rio Pro, Enduro+, Pronto, Rio Pro Xtended and Rio Pro Secure models. Says lead software development engineer Andy Headland. 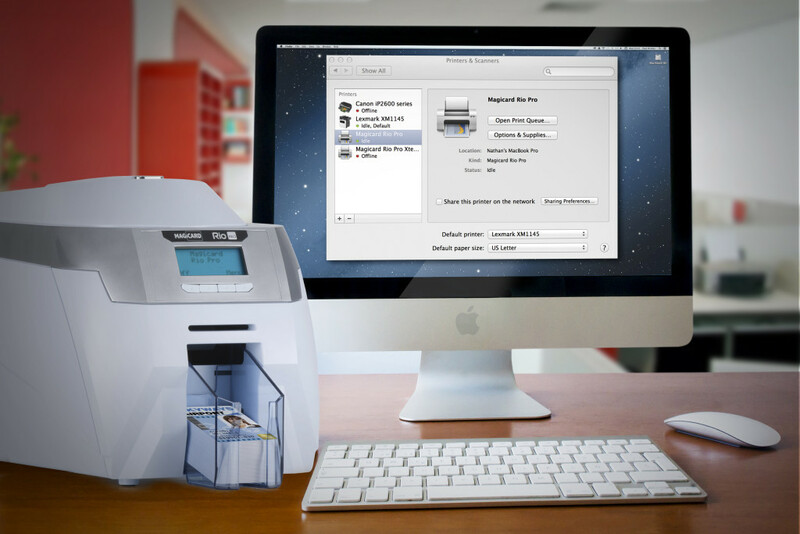 All of the features that users expect from Magicard printers on the Windows operating system are also available for Magicard printers running on Mac OS X. These include full-color duplex card printing, support for magnetic-stripe and smart card encoding, and printing HoloKote™ watermarks. Responding to the increased adoption of Apple computers among business and government professionals, the new driver will allow Magicard printers to meet the needs of small businesses, corporate enterprises, event organisers and governmental organisations to issue reliable and secure badges.